The A.W. 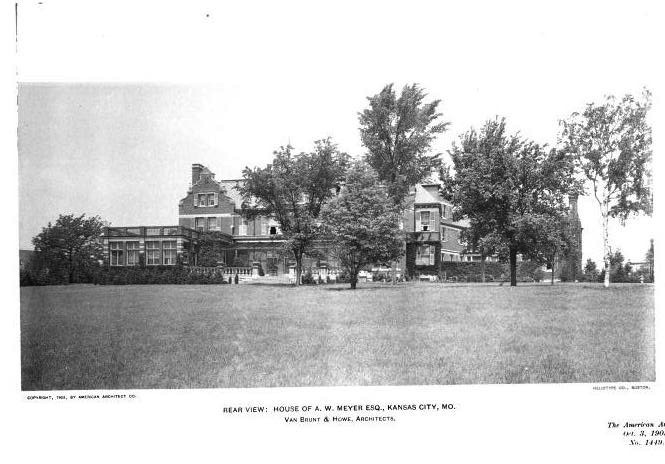 Meyer estate designed by Van Brunt & Howe c. 1902 in Kansas City, Missouri. Meyer was a reverend and president of St. John's College where he taught Religion, Hebrew and Greek. Click HERE to see the Meyer residence on google earth and HERE on bing. Photos from American Architect & Architecture, 1903. I dont understand the "dead animal" questions? Times change. Women's hat makers probably single handely put a dozen species of birds into extinction. There was no sense of resources running out. Big game hunting goes back for centuries when Africa and Asia opened up to western travel for the well to do from the world over. Even locals hunted for trade and export without any consideration of depleting animal populations. So tastes change and times change. 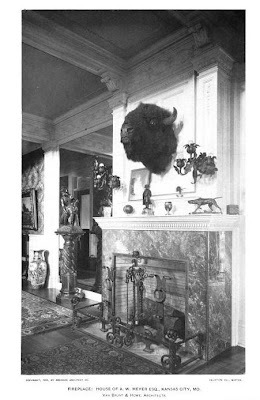 Few today decorate with bear skin rugs and wear seal skin hats and that's a good thing, but I dont mind seeing historical photos with animal skins everywhere. It documents an era that is delegated to the past. 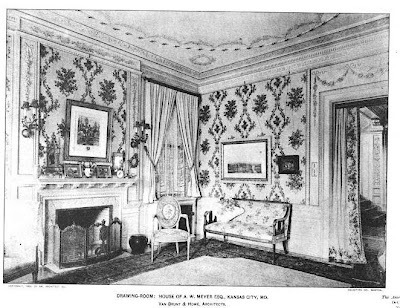 Meyer house is the administration office of The Kansas City Art Institute. Was voted the most beutiful house of its time in Kansas City.?????! !